The SketchUp program allows you to create 3D models of anything you like. You can easily install it and add different plugins depending on your needs. However, if for any reason you want to uninstall SketchUp on your Mac, read on to find more about it. In this post, we want to highlight the steps to entirely uninstall SketchUp on your computer, including its service files and plugins, such as the popular V-Ray for SketchUp. How to remove the SketchUp license. 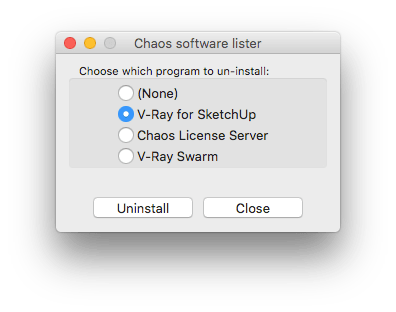 How to uninstall V-Ray for SketchUp. How to uninstall SketchUp manually. How to uninstall SketchUp on Mac using an uninstaller tool. How to Remove the SketchUp License? You can install your SketchUp license on up to two of your computers. However, you cannot run SketchUp on both devices simultaneously. Therefore, you should remove your SketchUp license if you want to use it on another computer, or if you want to uninstall SketchUp permanently on your Mac. So, complete these simple steps to remove SketchUp license: launch SketchUp → choose the License section in the Welcome Window → click on the Remove License button. How to uninstall V-Ray for SketchUp? Open the Applications folder → select ChaosGroup → V-Ray → V-Ray for SketchUp → uninstall → uninstaller.app → enter admin’s name and password and click OK. In the window that appears, select the V-Ray for SketchUp program and click Uninstall. In the next window, confirm the V-Ray for SketchUp deletion by clicking on Uninstall → in the next moment, you will be informed that the program has been successfully removed. How to Uninstall SketchUp Manually? Open the Applications folder → click on the SketchUp 2018 (*your version) folder → select SketchUp.app → right-click on it and select Move to Trash. Now you can delete the SketchUp app’s service files step by step. First, remove the SketchUp folder from the root-level Library folder. For this, open Finder. In the Finder’s left pane select Macintosh HD. 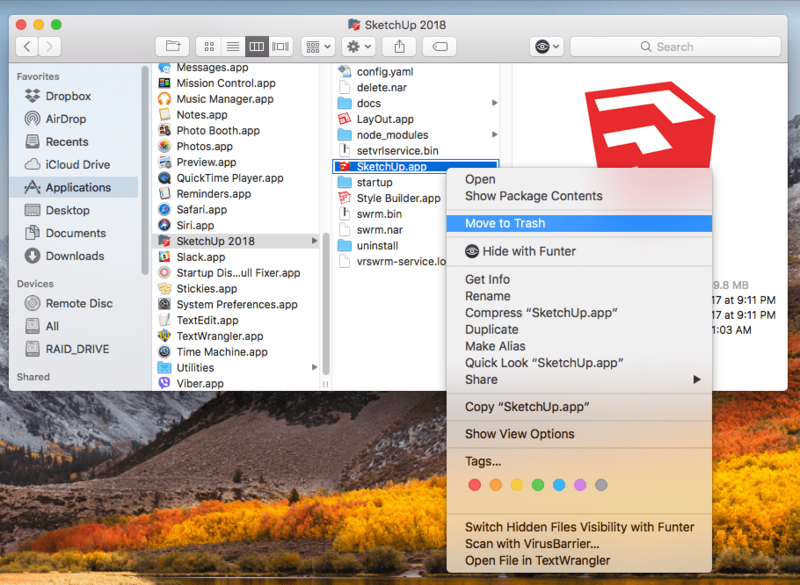 In the Finder’s right pane, choose Application Support → select the SketchUp 2018 folder and delete it. The rest of the service files are usually stored in the user’s Library folder, which is hidden by default. Therefore, to get access to it, open Finder → in the menu bar, click Go → Go to Folder → type ~/Library→ click Go. 6. Remember to get rid of deleted files completely by emptying the Trash. How to Uninstall SketchUp on Mac Using an Uninstaller? 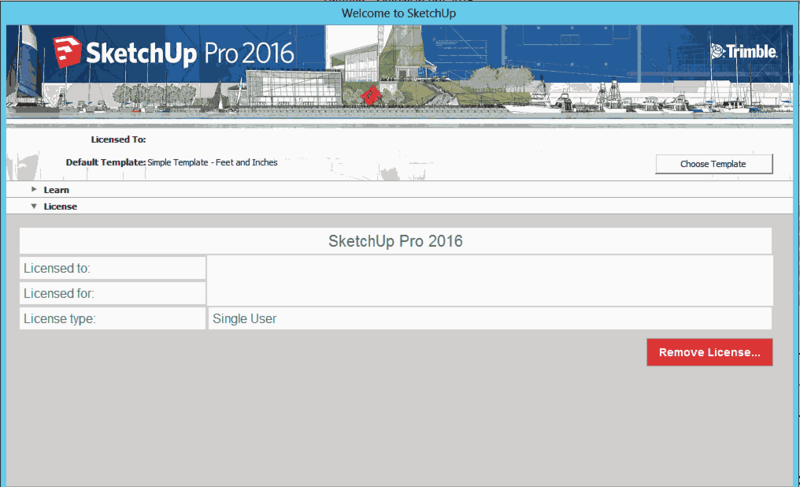 Tick SketchUp 2018 in the list of Applications and then click the Remove button. Review the items you are going to delete and confirm the removal. Empty the Trash bin to delete SketchUp completely. 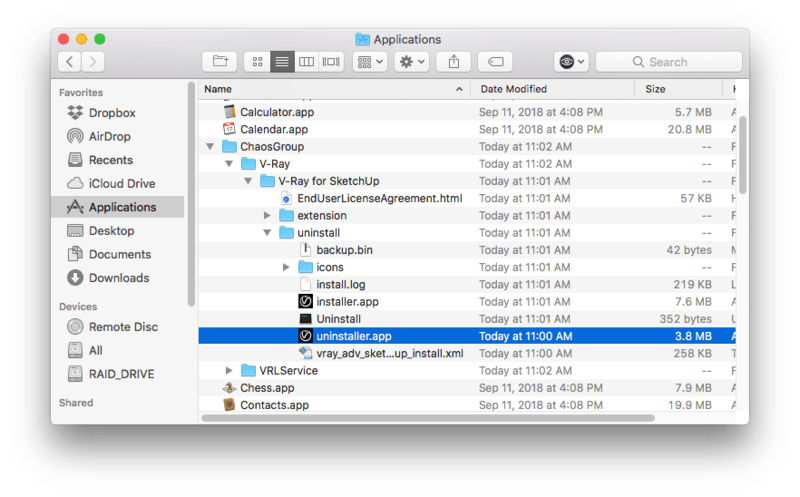 As you can see, App Cleaner & Uninstaller has also detected the V-Ray for SketchUp files (with the black V icon), which are related to the SketchUp application. In this way, you can uninstall the plugin separately as well. As shown above, uninstalling the SketchUp application using the manual method requires careful removal of each file step by step. 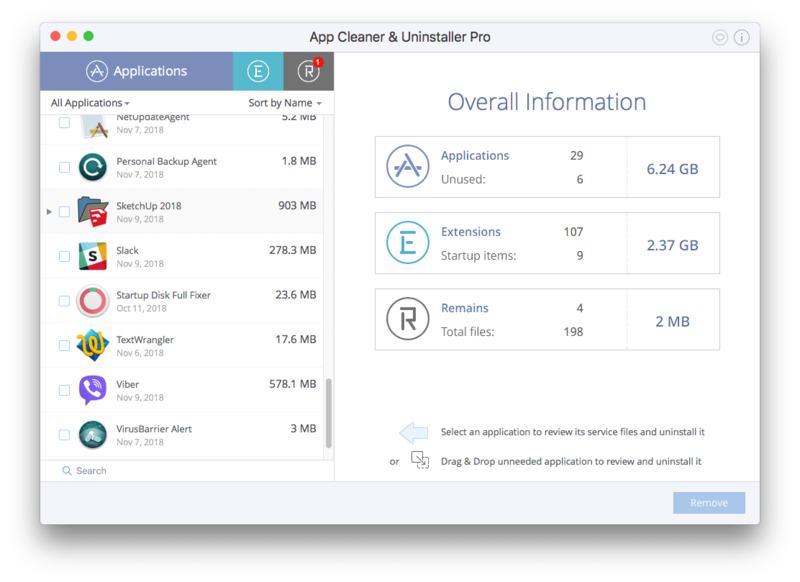 At the same time, App Cleaner & Uninstaller can completely remove SketchUp and all its service files automatically and quickly. 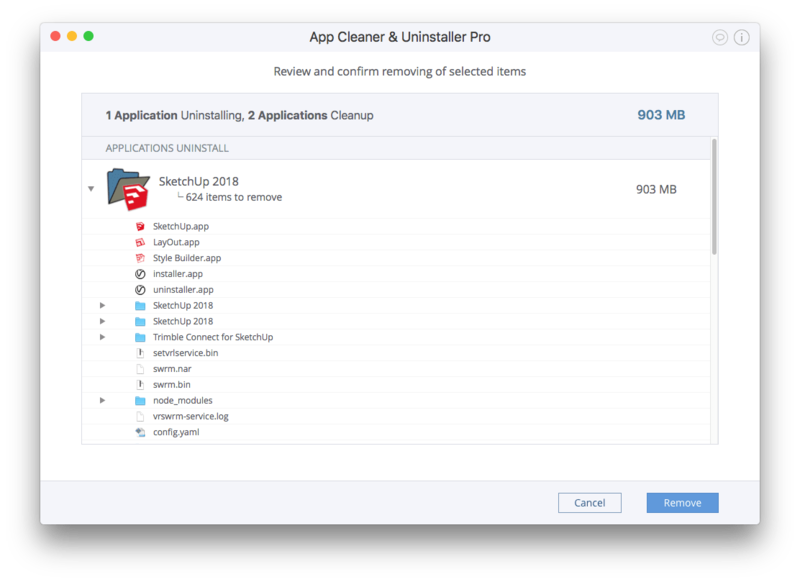 So, we recommend using App Cleaner & Uninstaller each time you want to remove an app from your Mac.